Published on Artfully Wed! Click here to see the feature. The Southern Boho Wedding Romance inspiration shoot is a wonderful fusion of southern, classy elegance and the earthy, natural beauty of bohemian style. The wedding venue, Antrim Celebrations, is nestled in the rolling hills of Columbia, Tennessee. It has a traditional antebellum home and barn, but also the open fields, age old trees, and honeysuckle that reminds us all of the charming and down home South. 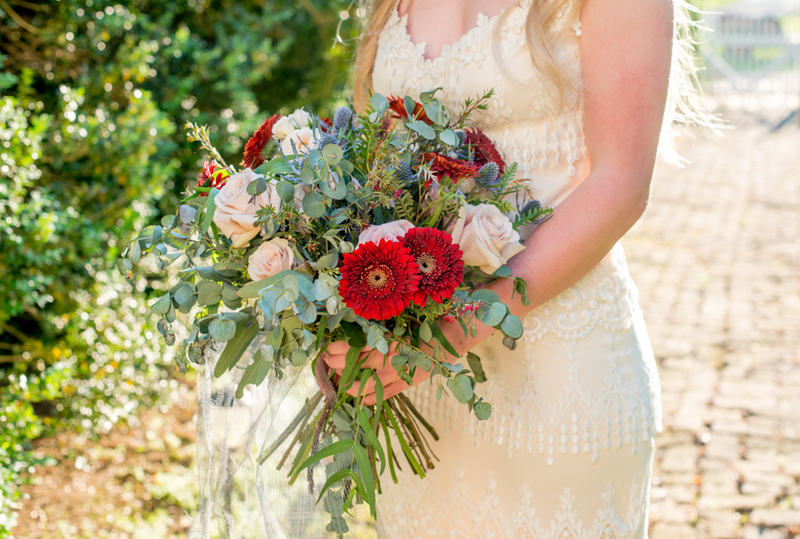 Clemmie Grace Designs and Twila's Photography wanted to merge the traditional southern bride style with a hippie, boho style to give the classic southern bride look a fun, but beautiful twist and create a new take on southern elegance. Claire Pettibone's Kristene Bridal Gown was chosen because of it's intricate romantic beauty with a hint of boho flair and gentle elegance. Lumberyard Gardens did a fantastic job with all the florals to evoke a stunning wildness in each arrangement. 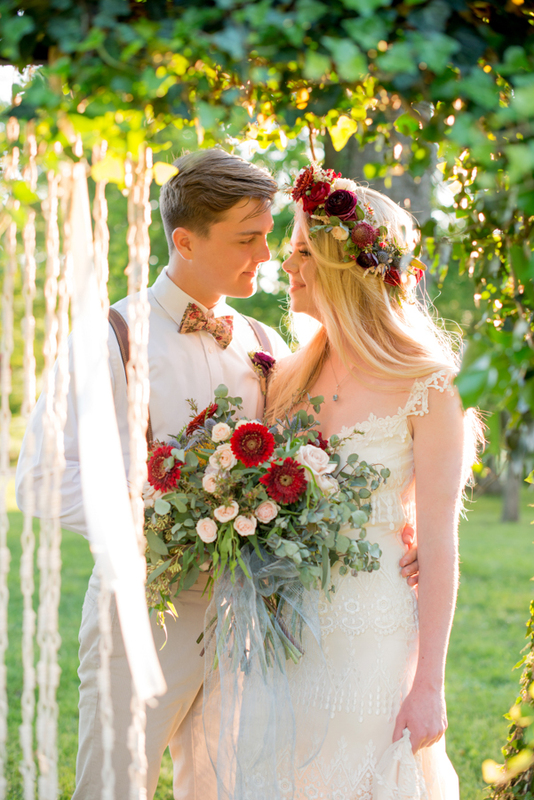 The coming together of classic southern wedding style and bohemian, free spirit style was incredibly fun and we hope potential brides find inspiration through these photographs to find creative ways of merging two different styles of their own.